To soften hard water in your hot tub without chemical additives, use the Vanishing Act calcium remover. Softer water leaves your skin feeling silkier and it also helps to protect your hot tub from the damaging effects of hard water. Soften hard water without chemical additives by using the Vanishing Act calcium remover. 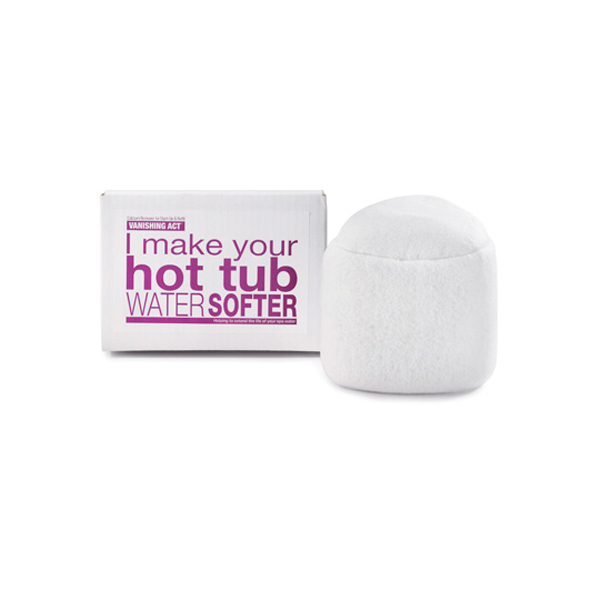 Softer water leaves your skin feel silkier as it helps protect your spa components from the damaging effects of hard water. For areas with extreme hard eater, use the Vanishing XL with 3 times the calcium reduction power of the standard Vanishing Act.